The Zen Karma window is the entry-level vinyl window model. Zen Windows are a franchise business of Soft-Lite, with branches in many of the major cities across the United States (although there aren't many branches in the western half of the U.S.) The Zen Karma is actually a relabeled Soft-Lite Barrington. While the Barrington isn't a great vinyl window like the Soft-Lite Elements or the Soft-Lite Imperial LS, it is not a bad entry level window. The Karma model comes standard with double weatherstripping, a constant force balance system,a simple lock and tilt latch, and a simple exterior molding. Consumers should be able to order the Karma in either a brown, white or beige (available on both the interior and the exterior). The Zen Karma window is certainly not the star of the Zen models, but it's not a bad window. However, for anyone considering Zen Windows, I would strongly recommend stretching into either the Zen Lotus or Zen Nirvana windows. Consumers can expect the Zen Karma to run $----- for the window itself. (We cannot list window prices for the Zen models.) Comparable window costs include Sunrise Essentials pricing and Milgard Styleline window prices. 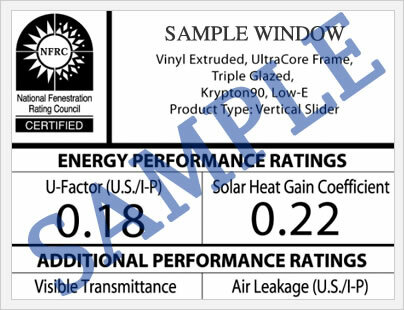 The Zen Karma double hung window with the 3/4" low E glass will should produce a .30 U factor, .31 SHGC, and .57 visible transmittance. An upgrade to the Ultra glass will lower these numbers - .23 U-factor, .27 SHGC and .45 visible transmittance. All of these performance numbers are available on the NFRC.org website, although they are posted on Soft-Lite, who makes the actual Zen Karma. The Zen Karma window includes a limited lifetime warranty on the vinyl mainframe and sash, a 10 year warranty on any exterior laminate, PVC coatings and any internal mini blinds. The Ken warranty is transferable, although it requires both a transfer fee (typically $50) and an official notification to Soft-Lite of the transfer. 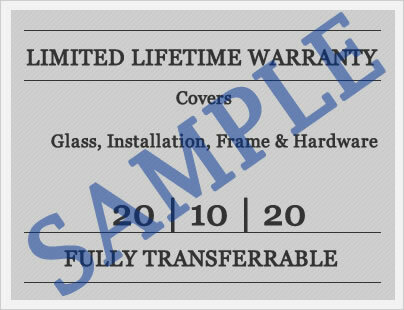 Limitations and exclusions do apply to this warranty, so consumers should read the warranty terms in total prior to their purchase. Do you have Zen Karma window reviews to add to our site? If so, do so here and let other homeowners know what you think about these windows. Questions about the Zen suite of products? Our site editors can answer many (perhaps not all) of your questions on this franchised Soft-Lite company.